1. 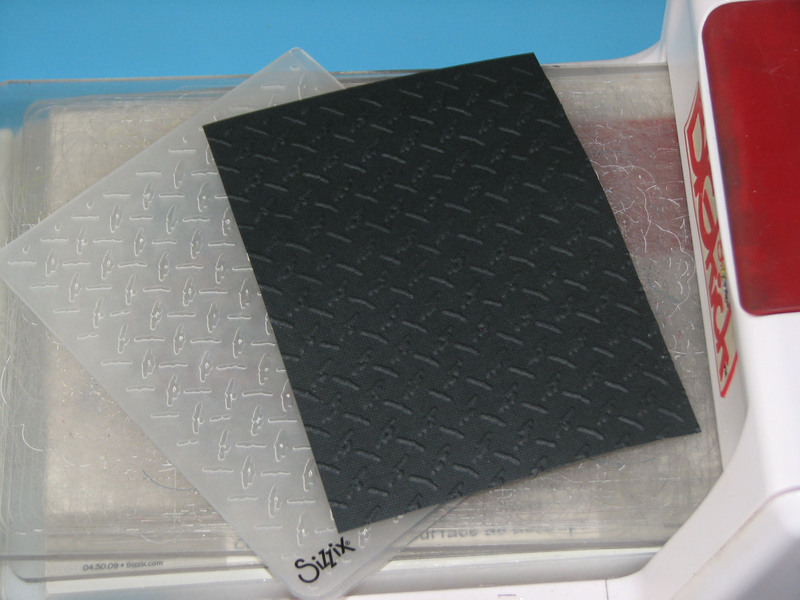 Cut black card panel to 4" x 5.25" and emboss using diamond plate design. 2. 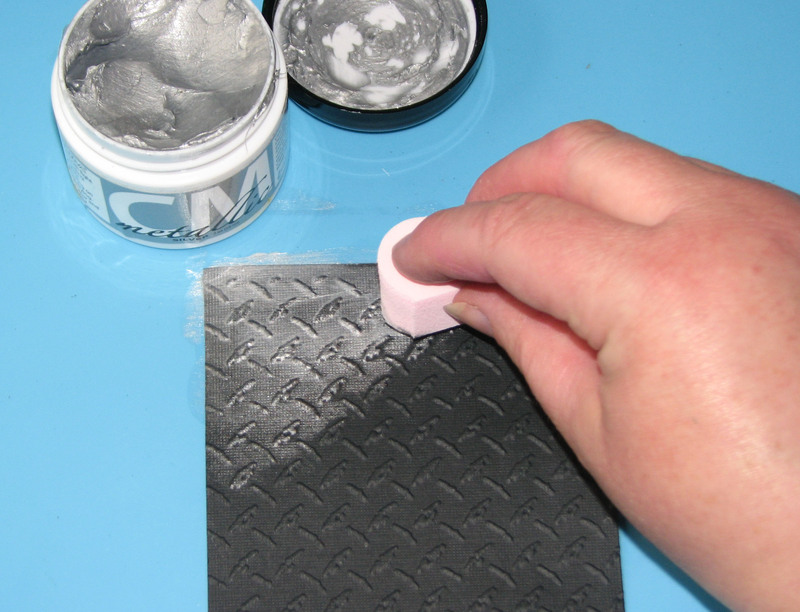 Cover the embossed panel with Silver Creative Medium using an Ink Blusher. 3. Once the panel has dried, mount on a blue card blank. 4. 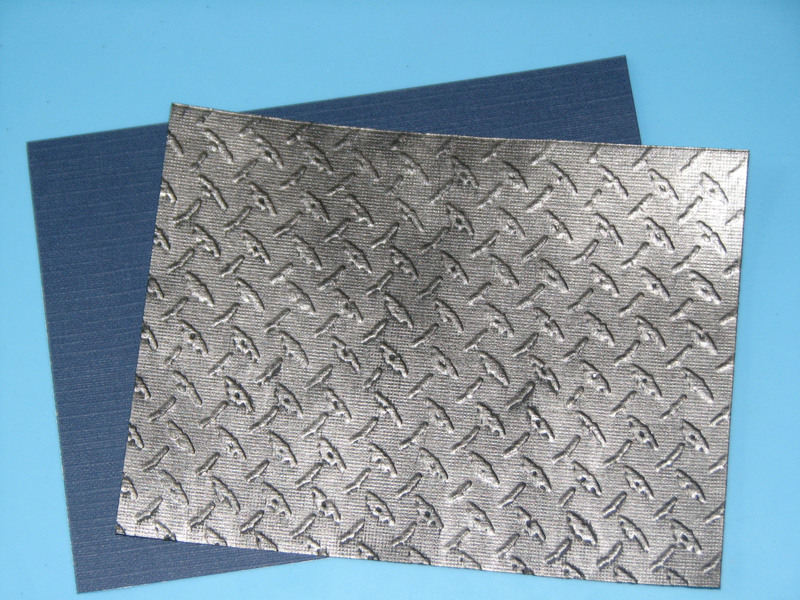 Cut a 2" strip of grey cardstock, mat on dark blue cardstock. Stamp motorcycle image using Memento London Fog. 5. 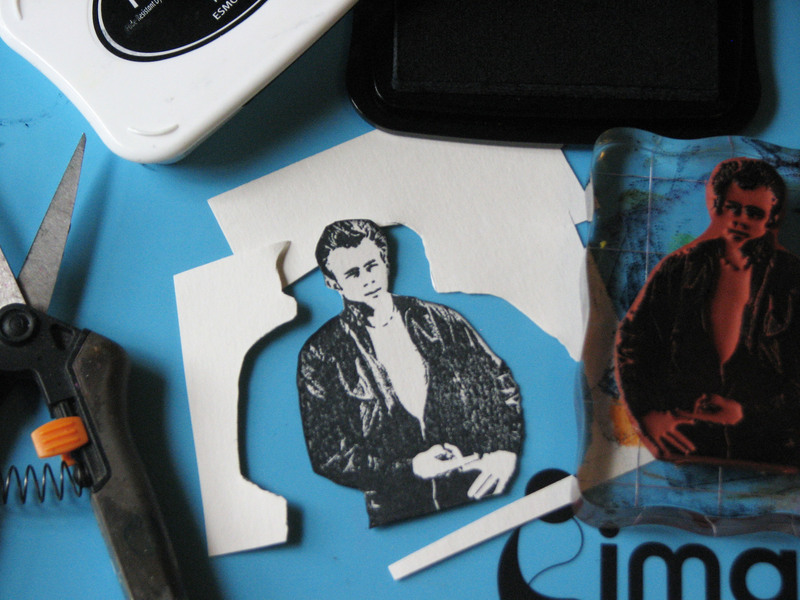 Stamp James Dean image onto cream colored cardstock using Tuxedo Black Memento ink. Trim away excess paper. 6. 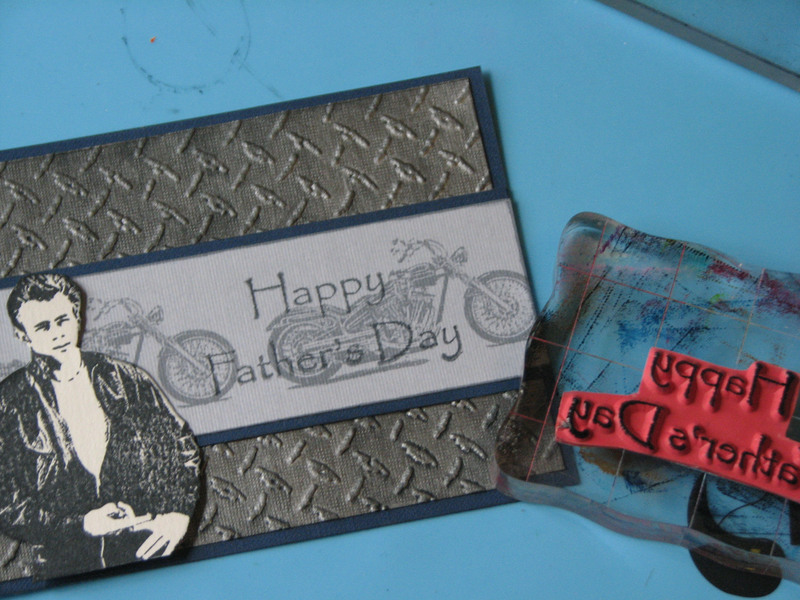 Mount motorcycle strip and stamped James Dean image onto the card front. 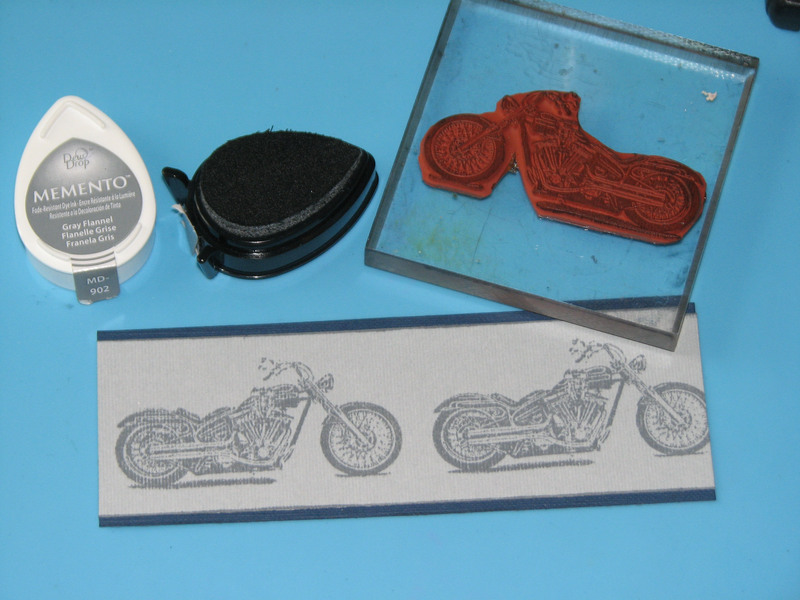 Stamp sentiment over the motorcycles using Tuxedo Black ink. 7. 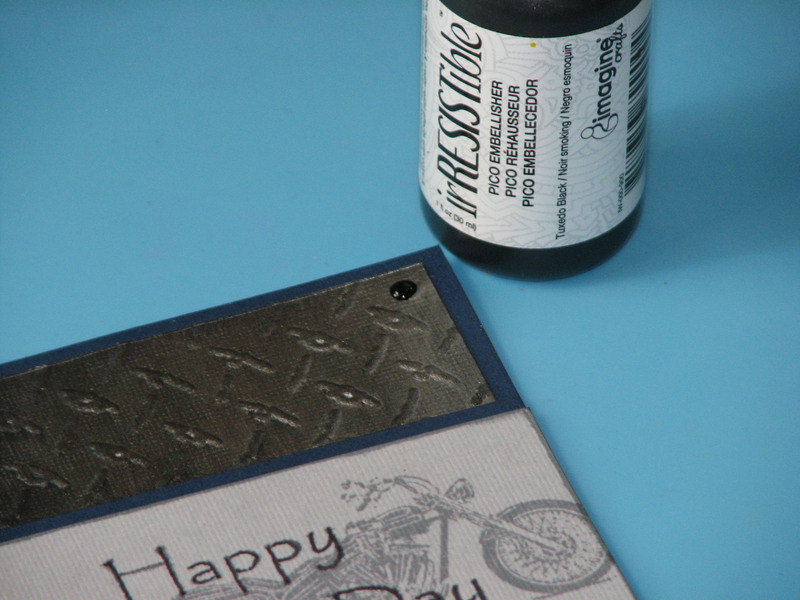 Finish off the card by adding a dot of Tuxedo Black irRESISTible Pico Embellisher to each corner.